because, inherent in these quotations lies the very essence of my being-which is a strong advocacy for love, peace, hope, compassion, truth, excellence, success, personal development, and faith in God. 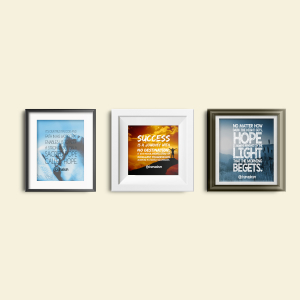 And when you eventually obtain the desired lift from reading any one of our inspirational quotes, please share with your loved ones, co-workers, and others who you want to motivate. Additionally, in the spirit of sharing and as a way of appreciating you for visiting Truewords.com.ng, we are giving you the opportunity to download a promo copy of Healing Words for the Soul (mini version) for FREE! No matter your condition or situation in life, there is a healing word for you in this faith-based motivational free EBook. 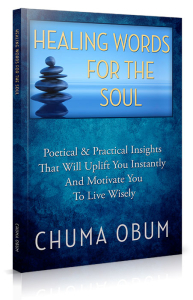 Chuma Obum's Healing Words for the Soul is a spark of insightful light in an otherwise heavily repetitive field of books. Each chapter houses a touching lyrical poem followed by a quote, Bible verse, and splendid sentences of uplifting wisdom. What spoke to me about this faith focused motivational book where the practical and common sense views of living a successful life in the glory of God through hard work, humility, and harnessing life experiences for the better. 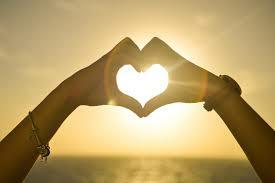 It provides not only a jolt of practical inspiration, but also a gust of spiritual enthusiasm that lightens the soul. If you want to live a more productive Christian life, then this book is a must-read. I picked up this book because I wish to take my faith and spirituality to the next level by reminding myself consistently of positive scripture and positive thoughts in general. This book is perfect for me. Every day as I wake up, and before I go to sleep, I read one of the pieces from this book and instill it into my thoughts. I then challenge myself to follow this message for the rest of the day. It has helped me so much to remember the things I learn at church. The author did a wonderful job in structuring this book. Along with the passages are Bible verses and additional related quotes, which help to bring each passage enriched meaning. I highly recommend this book to anyone looking to take big strides in their spiritual walk, or even to people who are not religious. 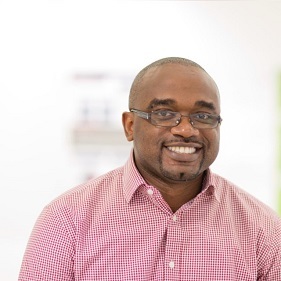 Segun Oni - Professional Oil & Gas Geologist	London, United Kingdom. 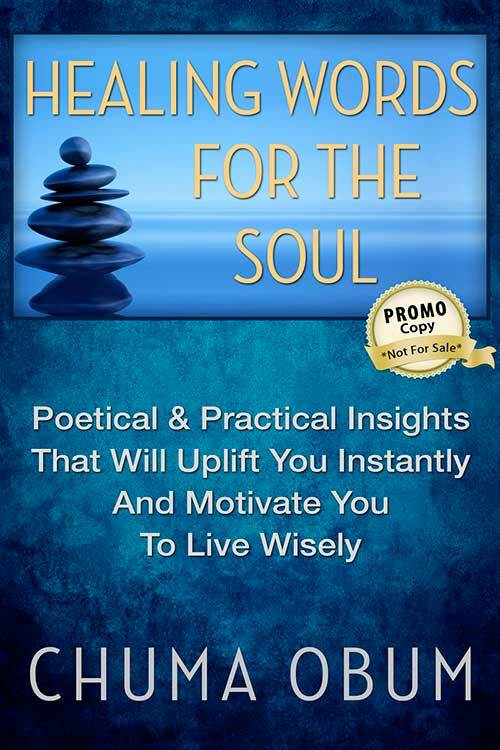 Healing words for the soul' is an excellent motivational book based on the authors life's experiences. I have found this quite insightful and challenging as I read through the pages on a regular basis. It is a handy and practical reference guide for everyday living! 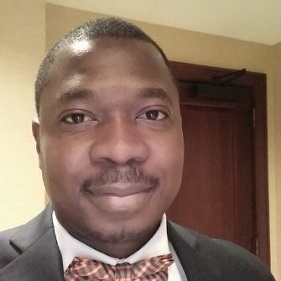 Osikhenna Awudu - Program Manager at Yale Law School	Connecticut, USA. Healing Words for the Soul is packed full of inspiring verses that provoke deep reflection and stimulates the reader's inner-mind. The structure of this literary gem is masterful. I found myself reading it carefully and pondering each line. It is certainly a most useful daily meditation guide. This book is a beautiful gift of encouragement and a strong voice for love, peace, goodness, self-belief and faith in God. It is an advocate for everything that is good and godly. The words contained in this book have a way of bypassing the head and going straight to the heart. They lend wings to spirit; in fact it can be said to be a ‘Pick Me Up’ for every time you need a lift. Profound and a must read. 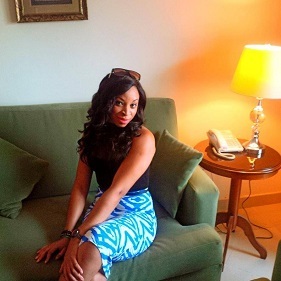 Somi Obum: - Founder & MD Sabel Angels Ltd	Lagos Nigeria. We need people like you. People who don’t preach disaster but love; people who teach us the value of following the true light; people who make us realize the joys and unquenchable happiness we can obtain just by walking in God’s way; people who teach us to love our enemies; people who make us realize how poetic and lyrical worshiping God can be; people who show us the way to everlasting riches just by working for God… I can go on and on but the long and short is that, the World needs more people like you. Wow your book is mind blowing!! I will advice any purposeful individual to grab a copy Of Healing Words for the Soul now. Wow! Very profound work indeed...anyone reading and digesting this will recognize the work put into it and the talent it showcases. I have always been a great fan of words and I’m very envious of your gift of using them so beautifully. Interestingly, I read it several times and got something different each time, so I know it's a piece of work one will treasure for a long time. Well Done! 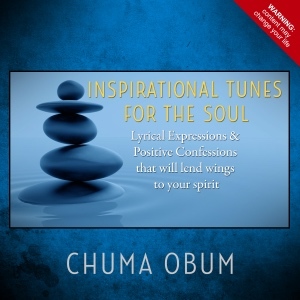 Healing Words for the Soul by Chum Obum is a Christian inspirational book that will leave you motivated in faith. This book is composed of Christian inspired poems that relate back to scriptures in the Bible. I loved the setup of this book. There are poems that the author relates back to scripture and then gives some inspirational quotes. I liked the messages that these poems give the reader. Chapter 2 Pray & Plow was probably my favorite. It’s easy for us to stray in our faith in the Lord, but we always find a way to make it back to him and his word. When God sees us pray and ask for forgiveness, God will answer our prayers and give us the tools that we need to make the right decision. Chapter 11 In His Bosom was particularly motivating as well. Nothing will happen in our faith if we don’t make the effort or try. If we just sit idly and don’t try to obtain God’s friendship, we can’t expect for him to be there for us. We need to seek God’s word and his friendship. We will get the ultimate power of freedom when we seek an intimate relationship with our creator. I loved the messages that this book sent us. It’s so easy to forget our faith and lose sight of who we are in this world. This book was inspiring and I will continue to reread a poem each day to feel motivated in my relationship with God. 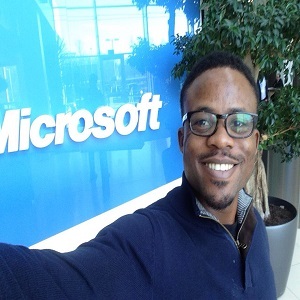 Mr. Kehinde Olofinmoyin, Employee at Microsoft	London, United Kingdom. Like Chinua Achebe's: 'The Education of a British-Protected Child', Wole. 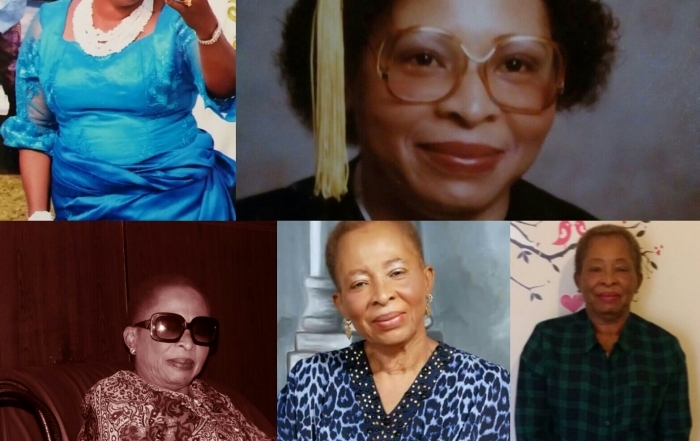 Soyinka's: 'You must set forth at dawn' and Maya. Angelou's: 'Won't take nothing for my journey now' - this book is a coming of age of the author Chuma Obum. It's chapters and poem's, though short and unashamedly anchored to faith in the Bible; are perfect for wandering minds. To the intending reader: Follow the book's suggestion to open your heart and read thoughtfully. My experience was that, going to a different place helped the message find me. To Chuma: I am confident there will be versions 2 (re-booted), 3 (re-loaded), 4 (re-born) of this series. Like those before you, 'just keep walking your journey brother. This book is life! 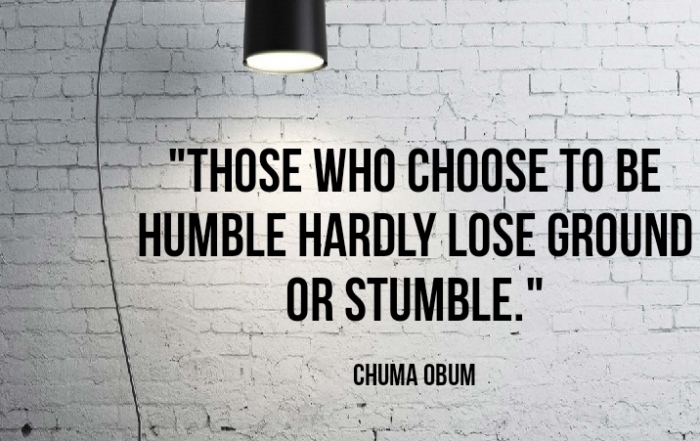 I love how the author "Chuma Obum" uses words to lift ones spirit up and also makes scriptural references that serve as a guide to whatever storm one might be facing. His quotes are powerful... the book is insightful, truly motivational and inspiring. I recommend everyone has a copy.